What is the purpose of Folding Large Containers? 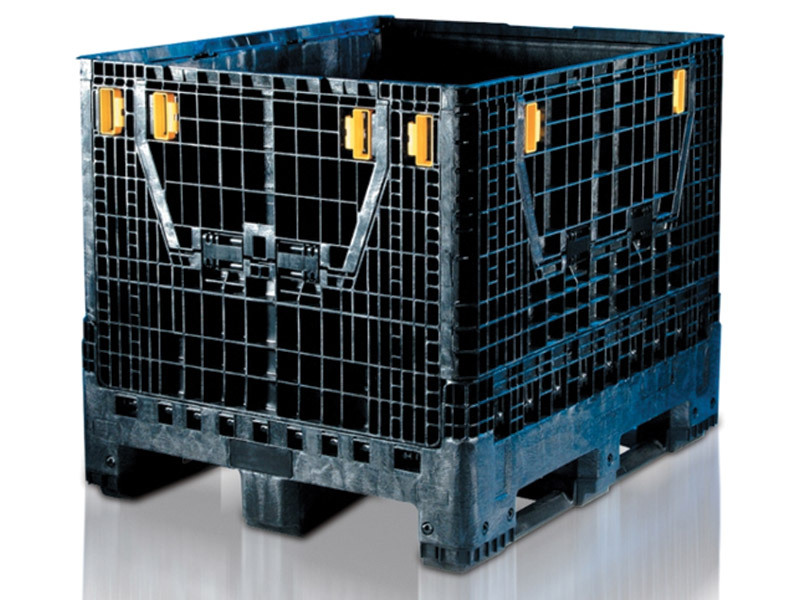 These folding large containers are perfect for situations that require bulk handling and distribution. Their lightweight construction, drop down doors, and wide width fork lift entry make these items perfect for moving and store hefty quantities of almost anything. 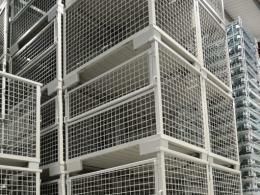 This product is ideal for warehouse use. Each unit is designed to make moving and storing items as simple as possible. However, this product can also be useful in other environments. These units can be used to protect and store items in the home, in a garage, or even in an office setting. 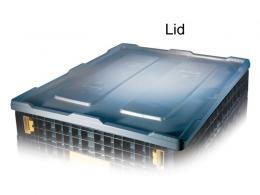 Folding large containers can be used by almost anyone, but they are great for warehouse workers. Each unit can easily be moved by forklift, which makes these items perfect for use in warehouse settings. They can also be used by individuals who want a safe and lightweight unit to use for home storage. This product is carefully crafted from lightweight plastic, making it a great choice for moving things like warehouse items. The convenient drop down doors on two sides gives you easy access to the unit’s contents, even if it’s in the middle of a stack. Each unit has a 780L capacity. You can stack up five of these units to carry a 500kg load. 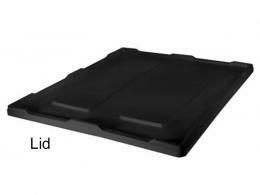 The folded height of each unit is 385mm, and the internal dimensions are 760H x 1118L x 918W (mm). Each unit features wide width fork entry, so you can easily move these items with a forklift. This product is perfect for handling and distributing almost any item. As an added perk, we offer free shipping on this item along with a one year parts and labor warranty. We also offer hassle free returns in case the items does not meet your needs.